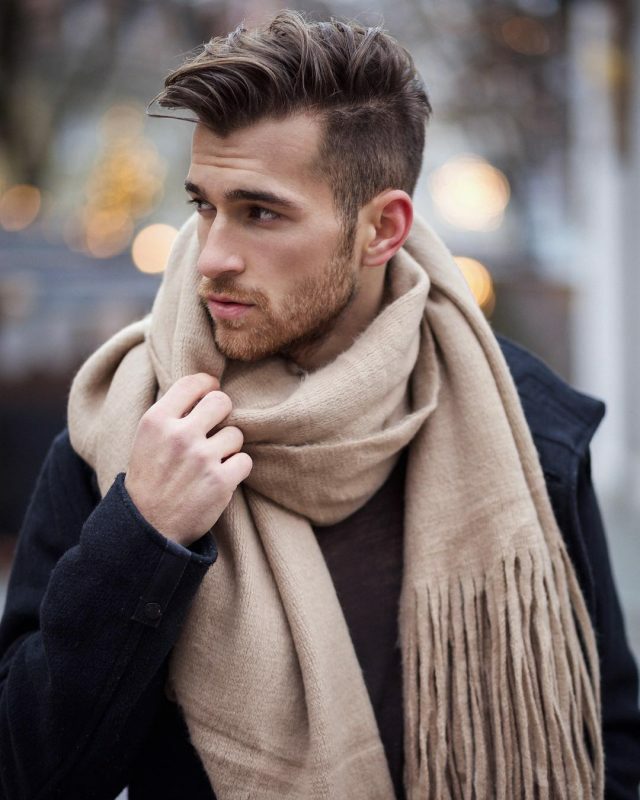 A man scarf is the most practical fashion item that keeps you warm and creates the masculine style if you know how to wear it properly. You might think it’s just a long strip of fabric and how hard would it be, right? But, the fall/winter scarf can go wrong so easily. Otherwise, there wouldn’t be so many men still feel the wearing of a scarf is somehow effeminate. Today, we’re going to show you the 6 very simple tips to wear a scarf in style and of course not the one you saw in Harry Potter movies. Make sure you keep the knot simple. We don’t want to see you cut the scarf because it is too complicated to get untied. Use the knots you are comfortable wearing with. Understand the scarf length & thickness. Keep it loose because a scarf isn’t a necktie. Function comes first, then only fashion. Unless you’re the model walking on the runway. Be confident with what you’re wearing. Now, allow me to introduce you to a few of the best scarf tying techniques. 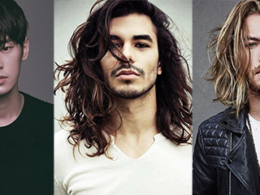 The Drape is the most effortlessly stylish way of wearing your winter neckwear. 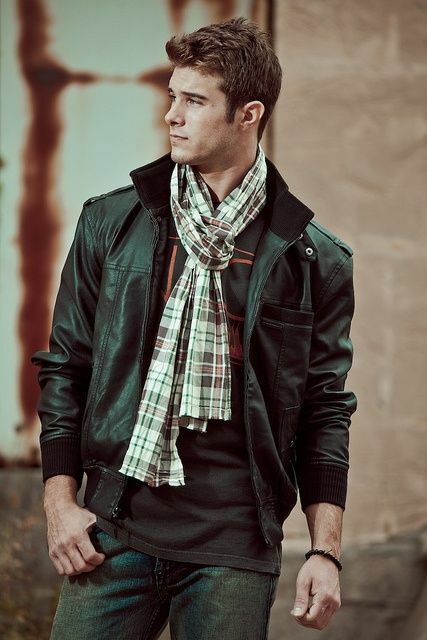 You don’t tie the scarf at all because it creates styles more than provides the supposed function – keeps you warm. Now I’ve to take back what I’ve said on rules number 5. 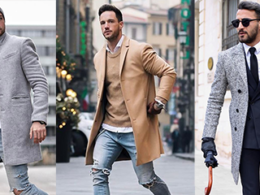 If the weather is not extremely cold, tying the drape scarf is a great way to add a dash of color to your drab overcoat and draw attention to your face. 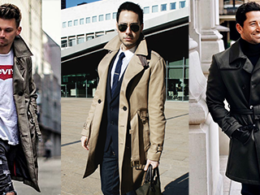 The vertical line created under the overcoat slices the body in half making you look taller and slimmer. If you want to echo the lines of the lapel, add a little colour, pattern & flair to your scarf while still keeping you warm. Here is another technique that doesn’t really tie the scarf – the once-around. As the name suggests, this method involves draping the scarf around your neck, making one end longer than the other. Choose a thin, lightweight scarf in cashmere or wool, or a chunky heavy scarf with elasticity and texture to create this raffish style. Remember the once-around is barely a knot at all, so when wrapping, the more nonchalantly you can drape it, the better. The over-hand knot is a simple and clean knot that has the functional purpose for keeping your neck warm during the cold weather. So far most scarf lengths and thicknesses can be used to tie this knot without any problem. This knot also works best as the pairing element for your fall or winter outfits, from an overcoat and suit, to joggers and a hoodie. To create this knot, drape the scarf around your neck, making one end longer than the other. Then take the long end of the scarf, cross it over the short end, and finally adjust both ends of the scarf to make sure they lie flat against your upper chest. This classic knot provides greater protection to the neck and covers almost on to the face. The best part of this knot is it doesn’t need too much of steps to create the super cozy and casual style. As it takes a little longer to tie, we wouldn’t recommend this knot for workdays as the style of the knot is much more relaxed. Guess every knot so far should start with draping the scarf over your neck. Perform the classic drape, making sure both ends of your scarf are of equal length. Next, bring one end of the scarf and toss it back over its opposite shoulder, then do the same with the other side. The Parisian knot is another classic, versatile and least complicated way to create a scarf knot. 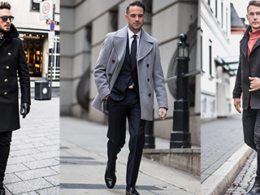 This knot, also known as The European knot, creates a stylish fuss-free French-style to all winter coats effortlessly. 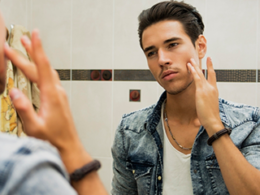 It works best especially on single-breasted jacket or peacoat for smartening it up. To create it, simply fold the scarf in half, then drape the scarf over your neck. Then bring the loose ends through the loop created by the folded end. Tighten the scarf and your stunning French-style is nailed. This knot is a bit more complicated to tie but it works best for business wear, giving you a very stylish and professional in its style. It’s also a great option for colder weather, quick to tie and take off too. Although fake knot is commonly seen in business wear, the way a scarf is tied can open up a world of possibilities in terms of experimentation, a quote mentioned by FashionBeans. That’s why sometimes, we’d love to use fake knot on the casual jacket too. There are two parts for creating this knot. 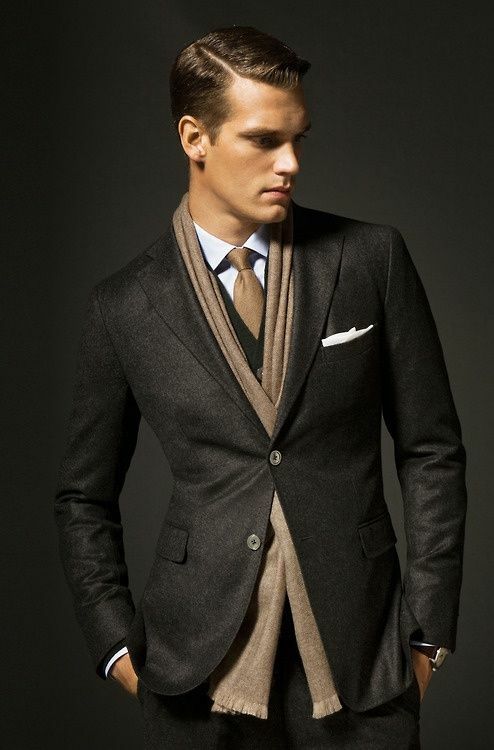 Firstly, place the scarf around your neck, just like the drape, but making one end longer than the other. Next, take the excess fabric on the longer side and bring it behind and around itself to tie a very loose knot. Finally, grab the other end of the scarf through the hole and to adjust to your desired tightness, gently pulling on each end of the scarf while sliding the knot up. There are still few complex knots to add into your style, for example, the reserve drape tuck, the reverse drape cross, the four in hand, and the twice around. These knots require more steps and longer scarf to create, we will teach you guys next time. In the meantime, learn the very simple 6 scarf knots above to keep you warm on this chilly season. 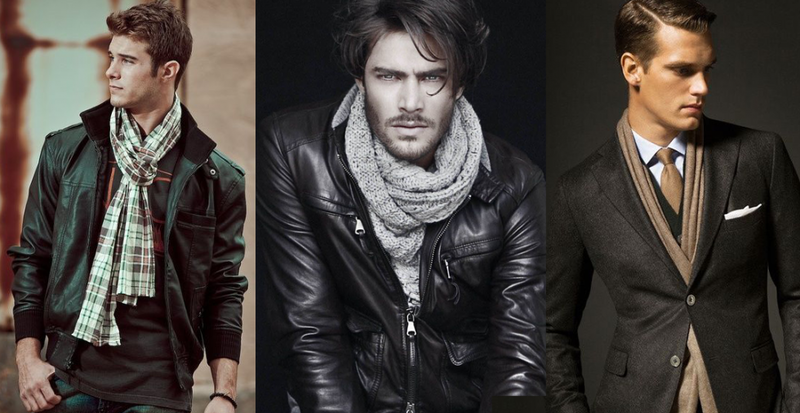 We’ve curated 40 pictures to demonstrate how to wear a scarf with style for men. Please click next button or slide left using finger if you’re on mobile.